What Benefits Come Your Way If You Have UK Investor Visa Tier 1? Are you an investor keen to invest abroad? Have you ever thought of investing in the UK? In case you would like to invest inactively or actively in a new or existing firm/venture in the nation, and watch it develop & expand, then you could be qualified to present a petition for the nation’s much talked about and extensively used UK Investor Visa – Tier 1 Class. 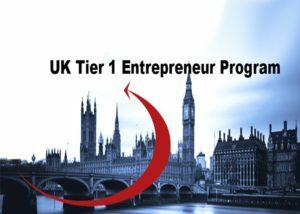 Apply for the UK Investor Visa Tier 1. But do not take your dreams lightly as getting the UK Investor Visa Tier 1 is a real tough job. But if you have the professionals to guide and help you, the visa process will not be difficult anymore for you. The British Administration rolls-out red carpet welcome to the overseas migrants investing intellectual and financial funds to the British economy. In case your age is 16 or above and you possess the appropriate levels of finance even as you happen to be the citizen of a nation located outside the European Union (EU), you can secure your future as an investor in the nation as a Tier 1 Investor Migrant. The UK is made up of four regions,namely, Wales, Scotland, Northern Ireland, and England.Courtesy to its diverse features it is an extremely popular immigration destination for the overseas job seekers and investors. People find the country unique and so is its immigration process which is very restrictive in nature. The UK is one of the most populated nations in Europe and shares healthy relationship with many other countries. With high income economy it attracts a large number of foreign investors who are eager to invest in here and enjoy the life in the best possible manner. If you are thinking of investing in the UK then,as mentioned before, you will find the journey ahead somewhat tough and complicated. Coming back to the UK Investor Visa Tier 1 here’s a summary! Let’s check it! You can submit an application under the said category if you are a non-resident of the European Economic Area (EEA) and Switzerland,and are willing to make an investment of at least 2,000,000 Pounds or more anywhere in the country. Additionally,you candidate must meet other eligibility criteria as well that we will discuss later. What is the processing period? Applicant must submit an application at least three months before the actual travel date even as a decision on the application will be made in one month. Initially the visa is issued for up to a fixed period of three years and four months. If you want, you can extend the same for two more years. Certainly invest in here, pursue a degree and apply for PR visa after two or three years provided you have made an investment of not less than 2,000,000 Pounds. Make an investment in property management.Plus,you cannot access public funds or work as a sports coach or sports professional. You also cannot receive public funds. Why the category has gained popularity? It’s a fact that the stream is appreciated worldwide.The reason: it provides an opportunity to invest in a well-developed country like the UK. The other plus point is the applicant can bring his/her dependents along. What makes the stream a popular choice of investors worldwide is that it does not require the investors to go through the length paper formalities.You just have to have enough funds, meet the language and education degree requirements. You can live in the nation for a fixed period of time. If you are doing well with your investments you can lengthen the duration of your stay or easily switch the visa category. You can present a petition for the much sought after UK Permanent Resident Visa. Next Post: What to Keep in Mind While Hiring US Visa Consultants in Delhi?